Come enjoy a day of duck hunting in the beautiful Baffin Bay Texas area. At Baffin Bay Hunting and Fishing, we offer fully guided Texas duck Hunts during the Texas annual Duck Seasons. 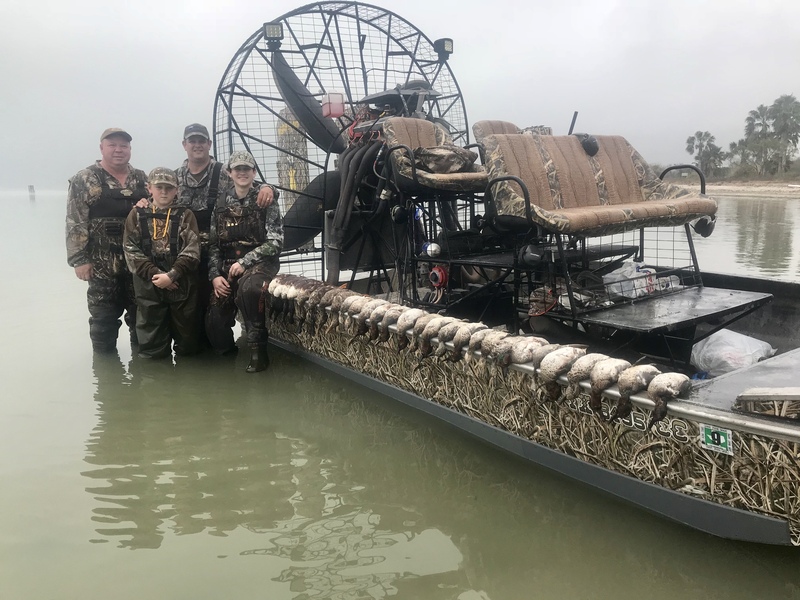 We will take you in our 600 HP airboat to some of the finest duck hunting spots Baffin Bay has to offer. Trip starts an hour and a half before sunrise to give time for setup. Directions to boat deployment given at time of booking. If in need of transport and staying at one of the Baffin Bay area lodges, clients can receive transport for $30 service fee. Cleaning of waterfowl not done.